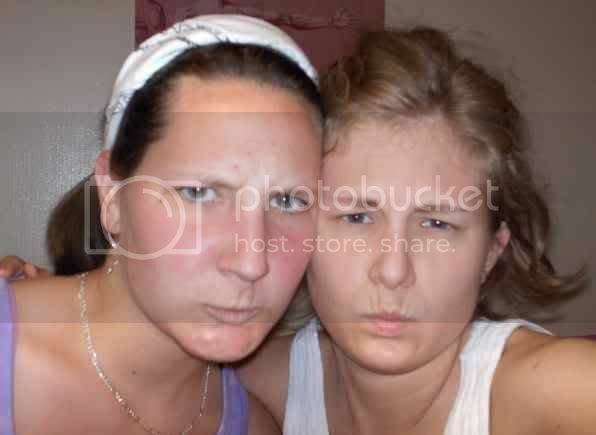 What are these girls frowning about? Leave a comment with your ideas and write a caption! I will post the name, a screenshot and the link to the blog of the first person who guesses what caused those sour expressions. The girls in the photo will pick their favorite caption and I will also post the name, a screenshot and the link to the blog of the author whose caption they select! “You bought us what for Mother’s Day?” Happy WW. Sheesh, how many times do we have to take this dang picture! OK – which one of you superglued us together as we slept? We do NOT have PMS! my personal favorite is the superglue one. wouldn’t that just start the monday off right? They are straining not to be the first one to smile.